Cascara Sagrada (Rhamnus Purshiana) other names: Aulne Noir, Bitter Bark, Bois Noir, Bois à Poudre, Borzène, Bourgène, Buckthorn, California Buckthorn, Cáscara, Cascara Sagrada, Chittem Bark, Dogwood Bark, Écorce Sacrée, Frangula purshiana, Nerprun, Pastel Bourd, Purshiana Bark, Rhamni Purshianae Cortex, Rhamnus purshiana, Rhubarbe des Paysans, Sacred Bark, Sagrada Bark, Yellow Bark. The herbal tree called the cascara sagrada is a large deciduous tree, which can reach a height of twenty to thirty feet when fully mature. The circumference of average cascara sagrada trunks is one and a half feet in diameter. The cascara sagrada bears a reddish brown colored bark and possesses slender branches with many leaves. The leaves of the cascara sagrada tree are elliptical in shape and are often green or yellow green in coloration, they tend to have a finely toothed edge, and are rounded at the base, and each individual leave may have either blunt or sharp ends at the tips. The foliage tends to be characterized by a crowding of the leaves at the tips of branchlets along the slender branches. The cascara sagrada also bears greenish white colored flowers; these are borne in large clusters along the axils of the leaves during the months of May through June. By September, these flowers of cascara sagrada will give rise to rounded black fruits; each individual fruiting body has two or three smooth seeds inside. 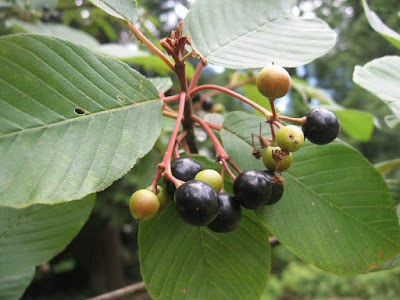 By observing the way Native Americans used parts of this tree in their traditional folk medicine, the early Spanish priests in what is now California, came up with the Spanish name for the tree, cascara sagrada - or the "sacred bark." Cascara sagrada was prepared into various herbal medicines by the native Indians - during the early spring or in the Autumn season, the native peoples would stripped off the bark, the stripped off bark would then be dried, and subjected to a slow aging process which lasted a whole year at a minimum - this prepared bark would then be stored for late use in the various herbal medications of the native Americans. The herbal remedy was prepared from aged bark, by using boiling water to steep or boil the bark; this boiled water was then cooled and drunk to help alleviate the physical symptoms of constipation in affected patients. The medical uses for the cascara sagrada was eventually accepted by American physicians only in the 1877, which is a century from the time that the early Spaniards first recognized the plant's medicinal properties from the natives of California. The U.S. Pharmacopeia has listed the cascara sagrada in its books since the year 1894, recognizing its many medicinal uses. The bark of the cascara bark is a natural laxative and it is believed to be one of the world's most common natural laxatives. The cascara sagrada is still marketed as a natural plant based laxative remedy. The medicinal ability of the cascara sagrada lies mainly in its property of actively inducing wavelike contractions along the musculature in the walls of the intestines; it induces this action by irritating the intestinal tissues. The laxative action of the cascara sagrada remedy is particularly of great benefit for those with weakened health and those who are old, especially when cascara sagrada has been properly diluted. A mild laxative action is also induced by the honey made from the flowers of the cascara sagrada plant. A similar laxative action is also displayed by two related European species of the Cascara, the R. frangula species - the alder buckthorn plant and the R.cathartica species - or the buckthorn, the cascara sagrada is generally preferred to these two plants as it possesses a milder laxative action and is believed to be much safer to use with patients. 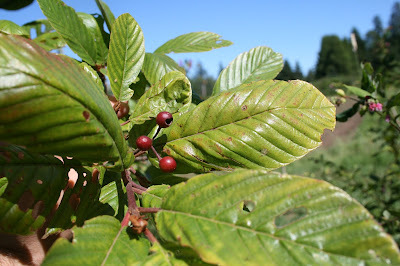 The cascara sagrada is a plant native to specific areas of the North American continent - mainly the western coastal regions. Cascara sagrada is found growing all along the Pacific Northwest from the Canadian province of British Columbia down to the northern parts of the California state. The cascara sagrada is mainly found in specific areas such as along bottomlands in valleys, along canyons and on forested mountain slopes. Cascara sagrada is a shrub. The dried bark is used to make medicine. Patients affected by problems such as chronic constipation can be given the herbal cascara sagrada remedy as the herb induces peristalsis in the intestinal muscles and it is also known to tone the relaxed intestinal muscles in the digestive system of the affected patient. For this reason, many commercial laxatives contain the cascara sagrada as one of the key ingredients in the product. Small doses of the cascara sagrada can also be given as a tonic to the patients as the plant often helps promote the digestive process in patients affected by disorders in the digestion. In foods and beverages, a bitterless extract of cascara sagrada is sometimes used as a flavoring agent. In manufacturing, cascara sagrada is used in the processing of some sunscreens. Cascara sagrada is possibly safe for most adults when taken by mouth for less than one week. Side effects include stomach discomfort and cramps. Cascara sagrada is possibly unsafe when used long-term. Don’t use cascara sagrada for longer than one or two weeks. Long-term use can cause more serious side effects including dehydration; low levels of potassium, sodium, chloride, and other “electrolytes” in the blood; heart problems; muscle weakness; and others. Pregnancy and breast-feeding: Not enough is known about the use of cascara sagrada during pregnancy. Stay on the safe side and avoid use if you are pregnant. Cascara sagrada is possibly unsafe when taken by mouth while breast-feeding. Cascara sagrada can cross into breast milk and might cause diarrhea in a nursing infant. Children: Cascara sagrada is possibly unsafe in children when taken by mouth. Don’t give cascara sagrada to children. They are more likely than adults to become dehydrated and also harmed by the loss of electrolytes, especially potassium. 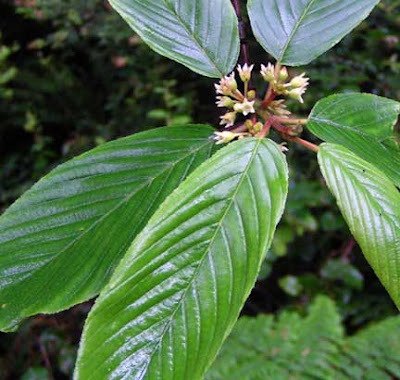 Gastrointestinal (GI) disorders such as intestinal obstruction, Crohn’s disease, ulcerative colitis, appendicitis, stomach ulcers, or unexplained stomach pain: People with any of these conditions should not use cascara sagrada.